Singapore Airlines Is Retiring Five A380 Aircraft — Will They Find A New Home? I don’t think there’s an airline that takes more pride in operating a new fleet than Singapore Airlines. Nowadays planes can be operated for several decades as long as they’re properly maintained, and often passengers won’t even know the difference. However, Singapore Airlines takes a lot of pride in their fleet, and often retires planes after just a decade in service. Last September I wrote about how Singapore Airlines was planning on retiring their first A380 in 2017. Perhaps more accurately, they’d be returning their first A380 to the leasing company from which they acquired it. 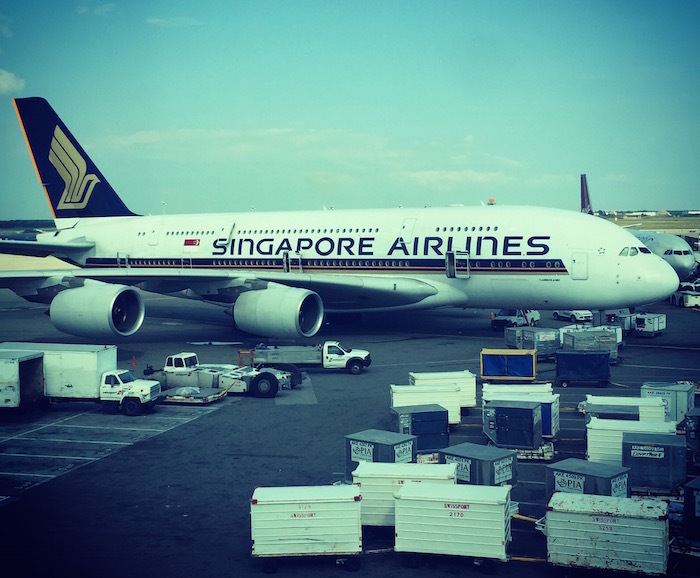 Singapore’s first five A380s were acquired as part of a 10 year lease deal, and those leases are starting to run out this year. So while Singapore Airlines had the option of extending the lease on that first plane, they decided not to. They have another four planes under the same contract, though up until recently they haven’t officially revealed what they plan on doing with them. Well, now we know. Singapore Airlines announced today that they’ll be removing all five of their first A380s from their fleet. Do keep in mind that Singapore Airlines has another five A380s on order. That means that they’ll retire their first A380 in October 2017, and then the next four will be retired over the following year. Meanwhile they’ll be taking delivery of five more A380s in 2018 and 2019. This means that their A380 fleet will remain consistent at 19 aircraft. The earliest model A380s were slightly heavier than the more recently built ones, so it’s not surprising that they’re less desirable. 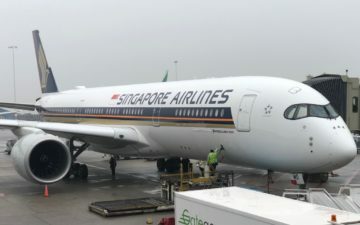 Furthermore, Singapore does have an aggressive fleet renewal plan, with a total of 62 A350 and 30 787-10 aircraft on order, so they’ll be able to grow plenty without keeping the A380 around. But this now gets especially interesting, as there will soon be five A380s without a home. They’re only a decade old, so what’s going to happen with them? Will another airline find value in these planes and take them over, or will they eventually be scrapped? Emirates is really the only airline that has been able to make the A380 work well for their fleet, and they’re finally slowing down their growth and deferring A380 orders. So I doubt they’ll have any interest, not even accounting for the fact that they use different engines for their A380s. 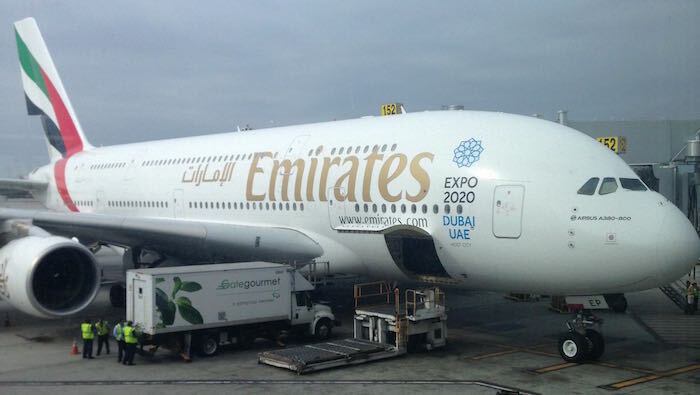 As far as other airlines go, it seems like they’re not too thrilled with the A380. However, perhaps if they’re getting a deal on these planes they’d be more justifiable. What do you think the future holds for the five A380s that are about to hit the secondhand market? We haven’t heard from ANA in a bit. Three out of the five whales? @Alvin ANA is already getting the 3 that was ordered by and made for Skymark. How much to convert to a private jet with 12 car garage? Asking for a friend. 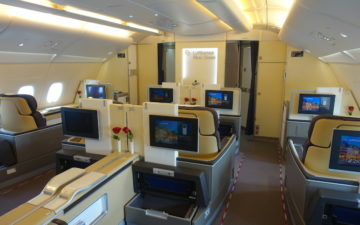 You had me worried with that title, bc we have 2 Suites Class award flights coming in August. Being switched to a 777 would be quite a disappointment. But since it’s Oct no problem. Lucky, are the 5 new A380s that are joining SQ in 2018 and 2019 supposed to have SQ’s new premium cabins? @ Tom — Yep, they sure are! Reports elsewhere on the www recently that someone was testing market interest for 4 A380 private jets, probably these birds? Wasn’t there some talk originally about Hawaiian Airlines considering leasing a used A380 for some expansion into other markets? That wouldn’t be a half bad option plus finally seeing a US airline with an A380 would be exciting! Willie Walsh, CEO of IAG, gave an interview a while back in which he said he’d be looking to take on 2nd hand A380s if the price was right – he felt the capital cost of new ones was not attractive, but 2nd hand might work well for BA. Dunno if he’s still thinking that. I just booked Suites for May 2018. Hopefully one of the new A380s is delivered before then and launched on their JFK-FRA-SIN route! Or even just their HKG-SIN route! I think they will go straight to China… for example China Southern (CZ) already uses A380 and B787 for domestic flights (Beijing-Guangzhou). I belive they have 5 A380 already. China Eastern (MU) fleet is relatively older than CZ Majority of medium and longhaul is done with A330 and B777. Air China still uses 10 B747. All three companies have A350 on order, also some B787. I think especially MU is visibly refreshing its fleet. To know which airline going to use them maybe we can check which hub-airport is having a runway upgrade? I’ve always thought that A380s could work for damp leases. A lot of carriers that don’t have A380s have 1-2 routes where it might make sense to have the plane, but that’s not enough to support an economically-sized fleet. Someone like HiFly could come in and operate several frames economically, while it wouldn’t be viable for small/mid-tier carriers. Of course, this plan would probably run into significant union issues. DUB-BOS/JFK on EI come to mind, and EI hasn’t shown any qualms about damp leases with the 757s and 767s. FCO-JFK for AZ, Some routes for VS, etc. We laugh at Delta in the comments here but in fact it may not be a stretch. Delta loves getting used aircraft on the cheap. It would also allow them to try this aircraft for a limited period to see if it could somehow fit on high density intl. routes and be profitable. Further, it would be a PR bonanza in that they would be the only U.S. carrier to operate the beast which, nicely fitted with the new suites in Delta One could be a push against the big three M/E carriers. Why it probably won’t happen is the aspect of crew training, infrastructure, and ability to convert such an aircraft into the fleet. But, if wanting to really test the waters it just might be worth it on a trial basis. If United can fit 15 across they are interested. That exact scenario happened to me this past November. I was incredibly disappointed but went to SQ’s Facebook page and politely asked for a re-accommodation (not the Dr. Dao kind, mind you) to a flight that would be operated by an A-380. SQ was incredibly helpful and communicated frequently and thoroughly to get me back into the Suites Class. If this comes to pass for you, too, don’t hesitate to reach out to SQ. Perhaps Delta will pick them up if the price is right. That would be a great 747 replacement. They seem to be picking up a lot of Airbus aircraft lately, so that would fit nicely into their fleet. As far as I’m aware, the only two problems with the A380 are the size of the aircraft and 4 engines to maintain. If they can find a way to make the benefits to outweigh the issues, I think it would be great seeing the A380 with Delta. Or some bulk asian carrier. Refit with 650+ economy seats. Make them a pure workhorse! Doesn’t this mean the end of the Double Bed? Isn’t the new configuration 1-1-1?? BA has earlier said that they’d be interested in used A380s. I think they’ll go for these. And Singapore Airlines take good care of their planes. 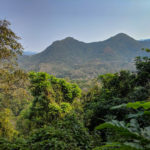 Any evidence current suites routes will be changing? I’m booked JFK-FRA-SIN for early April 2018 with my fiancé. Hoping it will still be the old suites configuration, but I guess any suite will do! @ Brit — No changes are expected as of now, especially as they’ll be retiring five planes and also taking delivery of five planes, so fleet should stay pretty constant. @ Travel With Leo — All we know so far is that the new configuration will have six seats. I think it’s more likely that it’s in a 1-1 configuration with three rows. Maybe they’ll get creative and find a way to offer side-by-side suites to create an even bigger bed. We’ll have to wait and see, but I suspect it will be spectacular. Why would any airline in their right mind want to buy those whales and put themselves out of business. MH couldnt find a buyer for much younger machines and had to resort to converting them into 700 seat Haj specials. @Lucky you also forgot SQ’s recent order for 20 777-9X after AE fumbloed the ball on the 350-1100 or whatever system TLS is using these days. DL recently deferred (read cancelled?) some 350 in favour of 30 321CEOs so unlikely home. Also Richard Anderson (an AE lover from his NW days) is gone and dont be surprised to see a shift towards SEA in future orders. 10 year old immaculate jumbos will not go to the graveyard. The price may go low, but at the right price someone will want them. It’s all about the Benjamins. Who? Who has the volume to fill them? Our comrades in red on the mainland seem like the likely candidate. Don’t believe Qantas has had difficulty filling theirs. They haven’t struggled to find a route, and have been well utilised. That said, they’re not looking to grow either, and seem to prefer flexibility of more frequent flights. Thinking about this – other than the infrastructure and crew limitations and required costs, having these airframes in high-density setting might be beneficial for AC for YVR-YYZ and YVR-YUL. Regarding DL – I’d say LAX-LHR and JFK-LHR if they do it right. Heck, even JFK-TLV might work. When Etihad first started flying they leased some old A340 for the AUH-CPT (JNB?) routes. We flew one of these very tired old planes. Seats didn’t work and the whole experience was very poor from both a soft and hard product perspective. 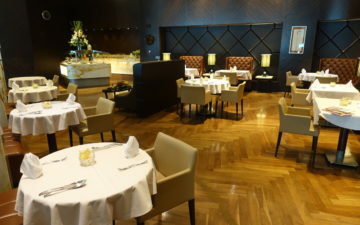 Exterior was Etihad but the interior product still had the SQ livery and wall hanging. I don’t suggest that these A380’s will not be in prime condition but I suspect it is a possibility. @JamesP These routes (YYZ-YVR and YUL-YVR) are often operated by A319, A320 and A321s. I doubt it would make sense to operate an A380 on these routes. It’s all about schedule flexibility, not seat count. I think they will be kept by the leasing company, converted into high density configs and leased out periodically for religious charters, special events (Olympics etc). No airline really wants used ones (god knows what Emirates will do with all theirs once they get old). Would love to see some of these turned into airport hotels aka the 747 at ARN. QF are far too focused on their new 787s to want any additional A380s – they already have a surplus now that QF9/10 is moving to 787. I think they would happily swap all of their 12 A380s for 20 787s! Anyone who can generate good cash from this investment, he will take them. It is simple as that whether he is an airlines or investor. Hello Lucky, I read this article and being coming from India, I had immediately come across Air India. Air India is increasing their US routes in 2017 and they are expecting new 777 by 2018. Plus few 787 by end 2017. Routes to SFO/LAX would be a good option. Else route to LHR and MEL as well. However Air India having MRO of Boeing and Wide bodies are all Boeing, so entry of Airbus fuel guzzler is out of question. Secondly Jet Airways. They have mix of Airbus and Boeing fleet in their wide body. However the code sharing with KLM-AF makes more of their US routes. So 9W is again out. Best bet I thought is Vistara Airlines. This is fairly a new Full service airline in India. SQ has 49% share in its stake. This is interesting. Currently they have 13 A320 and 7 more coming in a year. To fly overseas they need atleast 20 aircrafts in their fleet. Introduction of A380 from SQ would help them to start their long-haul destinations. Plus all Airbus aircrafts would make the maintenance with one company. They can even hire the same set of pilots from SQ. So little of investment in hiring and training new pilots for A380. What are your views on Vistara taking these A380’s?